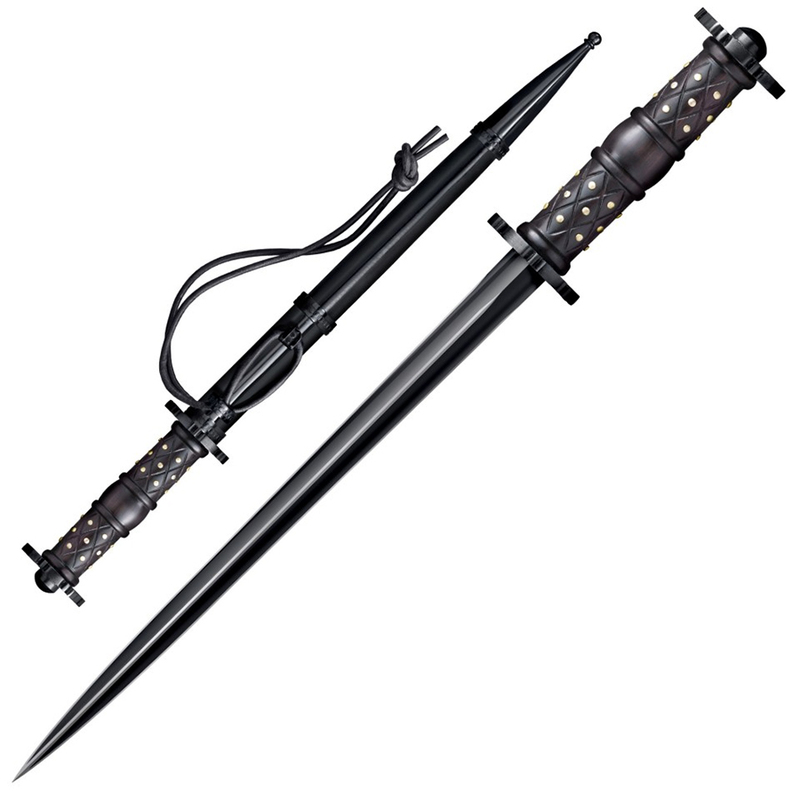 Cold Steel’s Rondel Dagger is inspired by historical examples of the combative incarnation of this medieval dagger. Rather than a multi-purpose tool, this version was a specialized weapon. A side arm developed for in-fighting, to pierce mail or heavy clothing, and to slip through gaps in plate armor. The long, straight triple-edged and hollow ground blade is incredibly stiff and terminates in a needle sharp point. The blade is richly blued, then the edges are hand polished, giving the Rondel its handsome appearance. The handle of the Rondel Dagger is turned and intricately hand-carved from Rosewood, with brass pins added to give further decoration and more traction to the grip. 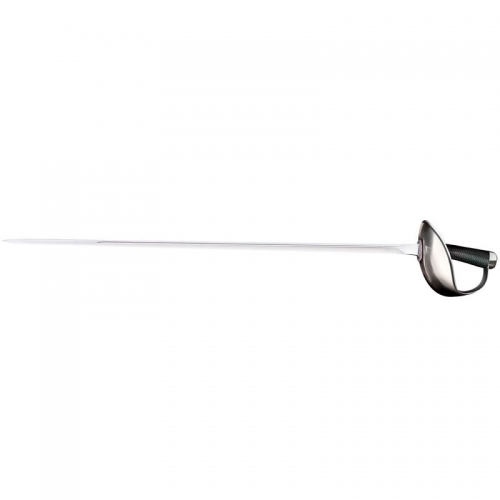 The period-correct double dish guard and pommel are further embellished with file work and offer incredible hand protection. An historically accurate hand-stitched leather sheath with blued steel throat and chape allows the Rondel Dagger be tied to a belt or baldric and comfortably worn in a variety of positions. 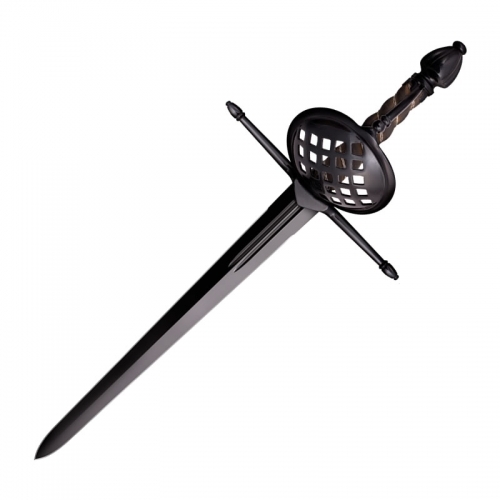 Perfect for Historical European Martial Arts practitioners who are studying the treatise or manuscripts on Rondel application, or a fine addition to the collection of a historical re-enactor or weapons enthusiast. PART # 88HRDL WEIGHT 13.6 oz. THICKNESS No HEAD No HAMMER FACE No PRIMARY EDGE No HAWK LENGTH No HEIGHT No BLADE LENGTH No HANDLE 5″ STEEL/MATERIAL No OVERALL 16 1/2″ ADDITIONAL FEATURE Black Leather Scabbard.